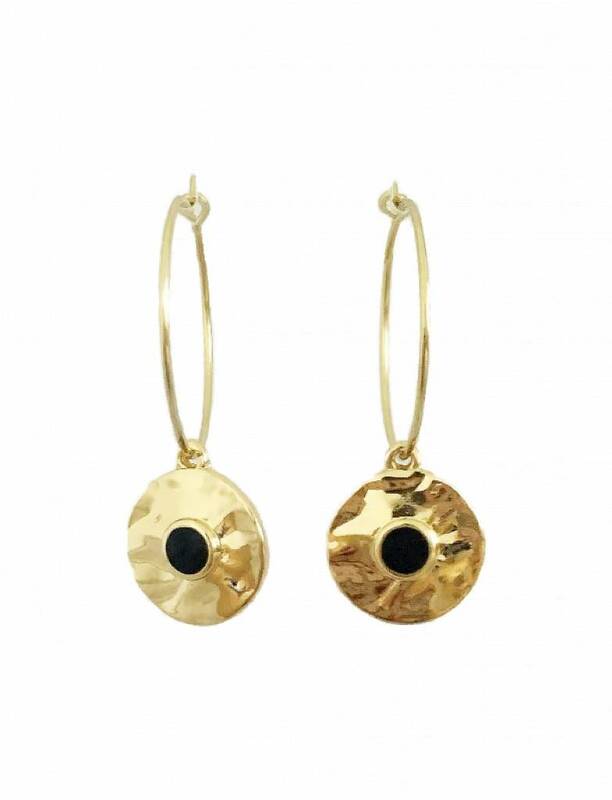 Gold colored 'hammered' earrings with a round pendant with a small black stone in the middle. Comes in a set of two. Gold colored earrings with a star shaped pendant. Comes in a set of two. Silver colored earrings with a star shaped pendant. Comes in a set of two.